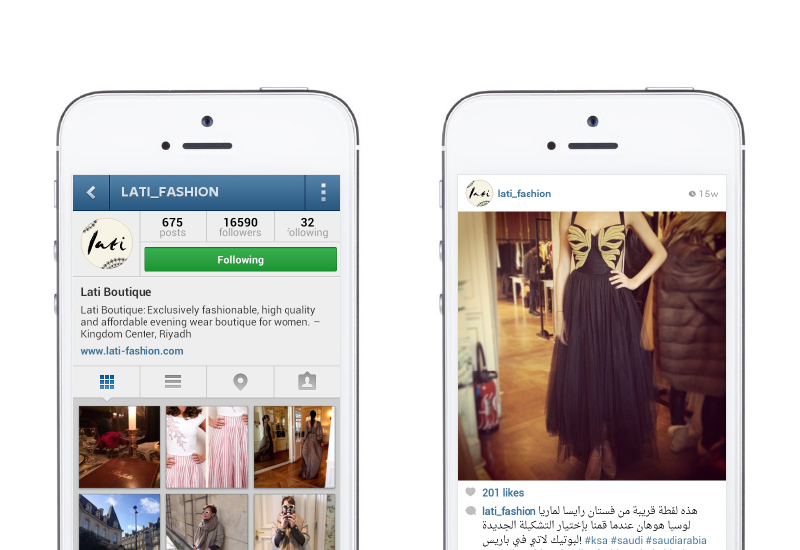 Lati boutique is a new women’s wear lifestyle boutique selling exclusive and carefully selected, high fashion evening wear at affordable prices in Riyadh, KSA. Blue Hat have been the digital design consultants and social media strategists for Lati boutique for the past 4 years. Blue Hat launched a successful teasing social media campaign prior to the boutique opening introducing the brand to its target audience. Blue Hat launched Lati’s website in 2011. In October 2014, Blue Hat then launched Lati's new eCommerce website. Blue Hat designed the new website to fit exactly with the needs of the target audience: empowering Khaliji women by giving them the convenience of shopping anywhere, anytime, and on any device they choose. The new website also provides the right tools to help women pick the product of their choice via its advanced filtering system controlling your favorite color, dress and sleeve length, budget, brand, and size, amongst many other interesting features. From online to in-store activation, Blue Hat continues to play a vital role in Lati’s online success. 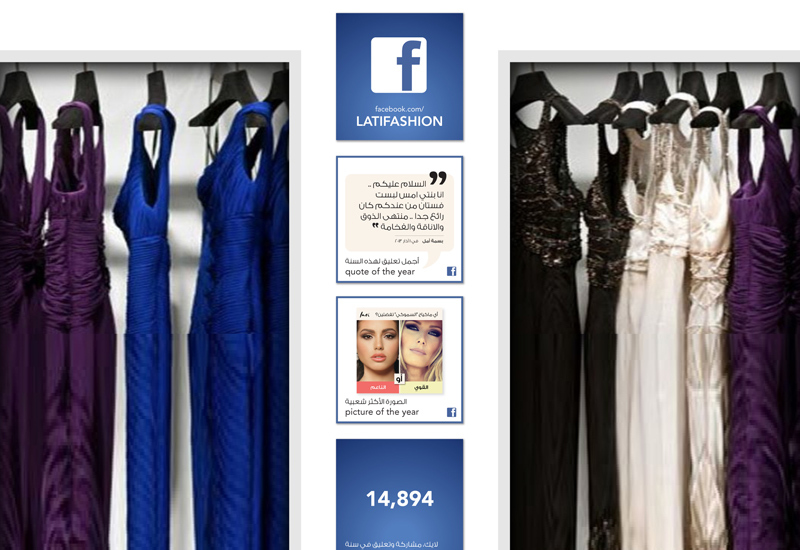 For the occasion of Lati's anniversary, Blue Hat launched a Facebook competition based on crowdsourcing for a chance to win a shopping voucher: Lati’s community were asked to contribute in choosing next season's collection in terms of style and color as well as reflecting which category they would like to see in-store in the future. The campaign turned Lati's fans from passive costumers to active contributors to the brand, and helped Lati in picking next season's collection.